To try to get in the Christmas spirit a little.... I decided to start this marathon a little early. Granted I haven't liked Christmas much since my wife passed away right before many years ago. But I am really trying to get myself out of it. This year for the first time in years that I have actually been able to buy Christmas presents... though not able to spend much per person. So that does help the matter a little. I will be able to watch movies and wrap presents... just like I used to years ago. For this marathon I will be watching movies and Christmas episodes from my DVD/Blu-ray collection... from Netflix... Amazon Prime... and Vudu. Not to mention some from Danae Cassandra's collection. So basically any way I find them! And let me tell you... I have many Christmas movies and TV episodes on disc alone... to many to list here. So I will have more then enough to watch... plus hope to get a few new ones added to my collection within the next month as well. There will be no goal set on what to watch... though I may keep a running tally of how many of each I watch... possibly setting a goal for next year. An incredible all-star cast shines in this deliriously funny comedy that "balances heart and humor" (Houston Chronicle) with a "sharp comic edge" (Rolling Stone)! Featuring Sarah Jessica Parker in a Golden Globe® -nominated* role, The Family Stone is "engaging, enticing [and] first-rate" (Los Angeles Times)! Corporate executive Meredith Morton (Sarah Jessica Parker) is as uptight and ultra-conservative as her pin-striped designer suit. Her boyfriend Everett Stone's (Dermot Mulroney) family is as relaxed and quirky as their aging New England Colonial. So when Meredith ventures out of Manhattan to meet Everett's clan, it's no wonder her arrival is met with all the enthusiasm of a nasty Nor'easter. But one surprise guest, two shocking romances and several beers later, Meredith's icy exterior begins to thaw...and she may just melt the hearts of the Family Stone! While I have had this film in my collection for years... this is the first time I ever got around to watching it. I found it to be an entertaining film that was well worth the time put in to watch it... but I found it to be very predictable. Too predictable really. But the journey to get to the ending I already seen coming a mile away is enjoyable.There is many big names in this one, which also added to the enjoyment. In this modern update of the beloved 1947 film classic, six-year-old Susan has doubts about childhood's most enduring miracle — Santa Claus. But after meeting a special department store Santa who's convinced he's the real thing, Susan is given the most precious gift of all — something to believe in. Starring Richard Attenborough, Elizabeth Perkins, Dylan McDermott and Mara Wilson as Susan, this uplifting and joyous film will make believers out of the entire family! This is one remake that was done very well. I liked the cast... the story kept your attention through-out... and makes for a great film for the entire family during the Christmas holiday. That being said I do prefer the original over this one. I liked how they did the court case in the origin more so then I did here. And I did find the whole marriage thing a little hard to swallow. That being said... I definitely recommend this film. I know I will watch it every year for my Christmas marathon. This is a good remake, maybe one of the best remakes I've seen. The original remains my favorite, but this is a worthy successor. It mostly captures the warmth and heart of the original, and updating the story to focus on an independent store struggling against buyouts brings the modern world in. Richard Attenborough and Mara Wilson turn in wonderful performances, and I rather liked Dylan McDermott as well. On the other hand, I never bought into the romance between McDermott and Elizabeth Perkins. She comes off so very emotionally distant that it's frankly hard to understand why his character believes they are at the point of marriage proposals. Equally, the court case is much better handled in the original film. All that aside, this is still a very enjoyable Christmas movie and I would add it to my Christmas film rotation. Don't know that I'm with Pete for watching it every year; I'll probably mix it up with the original the way I do with versions of A Christmas Carol. But I certainly wouldn't mind adding it to my collection. When his dysfunctional family clashes over the holidays, young Max is disillusioned and turns his back on Christmas. Little does he know, this lack of festive spirit has unleashed the wrath of Krampus: a demonic of ancient evil intent on punishing non-believers. 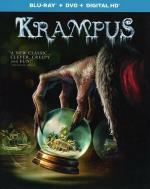 All hell breaks loose as beloved holiday icons take on a monstrous life of their own, laying siege to the fractured family's home and them to fight for each other if they hope to survive. Going by the trailer I wasn't sure what I would think of this one. But I must say... I enjoyed it more then I thought I would. It has a mixture of horror and comedy that I found a bit silly but entertaining. Some of the characters did get on my nerves a bit. And the ending was a little out there... but over all was worth the time put in to watch it. I definitely can see myself watching it again. 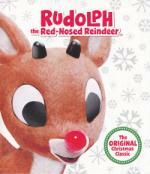 This is one of my favorite Christmas concert DVDs. These ladies have beautiful voices and do some of the best renditions of traditional carols I've heard. I really want to get their other concert as well. 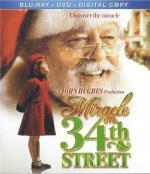 Jenny McCarthy and George Wendt star in this heartwarming comedy about Santa Claus' daughter. When Santa Claus (George Wendt) gets too sick to run the toy shop, his workaholic daughter Mary (Jenny McCarthy) leaves behind her high-powered job in the city and heads north. Will Mary's new ideas and her relentless drive for efficiency save Christmas, or will Christmas need to save her first? Ok... what did I think of this one? Jenny McCarthy... in some scenes I liked her... but yet in others it felt like she could have done better. I was surprised that I liked George Wendt as Santa. Don't get me wrong... I always liked George Wendt... he is always fun to watch... but for some reason he doesn't pop to my mind when I think of Santa. The movie was enough to keep my interest... even fun in parts. But I don't think it will become one of my favorites. I did however enjoy it enough to want to get a hold of the sequel. And yes... I can see myself watching it again. More or less an average film. Nick Stabile as Chris Kringle, Jr.
Nick Stabile (Popular) is Santa's son in a heart-warming holiday tale about the family business, starring Lauren Holly (Dumb and Dumber) and Golden Globe nominee Judd Nelson (Billionaire Boys Club). Mistaken for the "Christmas Bandit" bedeveling San Diego, Chris Kringle, Jr. is picked up by cops Darryl Bedford (Nelson) and his partner, Norm Potter (George Wallace), while trying to deliver some Yuletide gifts. 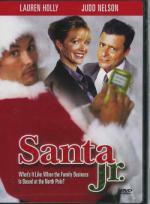 He's placed under house arrest in the home of his public defender, Susan Baily (Holly), who begins to believe in the Christmas Spirit--and even tries to persuade the skeptical Darryl--but Chris sees no evidence of it. The fate of Christmas depends on his finding it, with the help of a fiesty elf named Stan (Ed Gale),in this merry and magical family feature, directed by Kevin Connor (Diane: Her True Story). I found this one to be entertaining... and a little different then most Christmas movies as you really don't get to see Santa himself all that much... and even the one short scene he is on the screen he has no dialog. This one focuses solely on his son. There is a couple familiar faces in this one as well. Barry heads for Earth-3 to get advice from Jay Garrick on how to stop Savitar; Wally tells Barry he's been training with H.R. ; old wounds are reopened as Cisco faces Christmas without Dante. This was a very good episode. It has both good action and a good story. And I liked how they worked in the Christmas holiday. Though there is definitely a huge cliffhanger on this one. This musical adaptation of the classic tale by Charles Dickens, stars Magoo as the cold-hearted old miser, Ebenezer Scrooge. 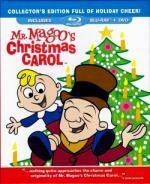 Mr. Magoo's Christmas Carol™ was the first-ever animated holiday special created for television. While Mr. Magoo does hold a nostalgic place in my heart... this is not one of my favorite Christmas specials. I mean it is ok and I do want to add this one to my own collection eventually as well. But to me this special wasn't all that. I think my main problem with this one is that it is way too much music... and at least some of the songs that are in it is in it more then once. Which I think is a little much when it comes to a show that is less then an hour long. 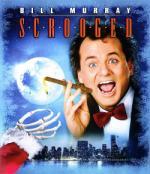 Scrooged, the hilarious spin on Dickens' classic "A Christmas Carol," is now available on high-definition Blu-ray™! Bill Murray is television executive Frank Cross, the meanest, most selfish man on Earth. He will stop at nothing to increase his network's ratings, even if it means that his staff works on Christmas Eve. It will take three spirits – the ghosts of Christmas Past, Present and Future – to show Frank that he needs to change. With an all-star cast including Karen Allen, John Forsythe, Carol Kane, Alfre Woodard and Robert Mitchum, and a memorable musical score from Danny Elfman, Scrooged will have your entire family rediscovering the true meaning of the holidays. This is one I haven't seen in years. Finally got it in my collection. It is about as fun as I remember it being. 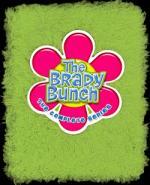 It is a good spoof with lots of familiar faces. Definitely worth the time put in to watch it.